While it is important to have Search Engine Optimized websites to get top ranking in organic search results, popular search engine companies offer attractive advertisement options as well. Sometimes to achieve quick SEO results it is necessary to go for these advertising techniques. Pay Per Click (PPC) is the paid ads services that appear at the top and on the side of Google, Yahoo!, and Bing search results. Charges are incurred only when a searcher clicks on the ads. These ads are highly effective in driving quality traffic to a website and helping webmasters determine which keywords are most efficient in attracting customers. Unlike SEO, PPC ads start attracting traffic to websites as soon as the campaign starts. Whereas SEO campaigns can take anywhere from 3 – 6 months before one can see start seeing results. It may appear easy to advertise directly through Google AdWords, Microsoft adCenter etc and run campaigns. But to optimize results and get the best out of the campaign, you need extensive, continuous analysis and a clear understanding of how to get the best out of a given budget. 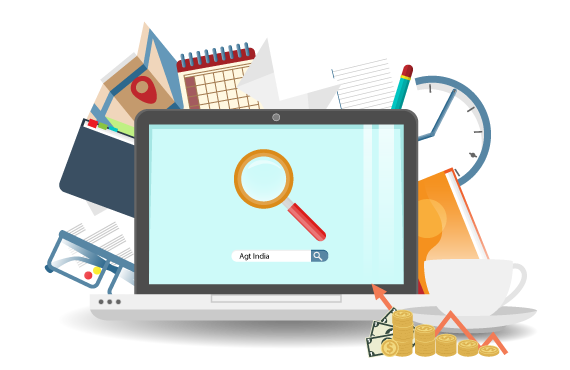 Our PPC ads services help you by increasing efficiency and freeing your valuable time. We add human expertise to search technology to derive maximum benefit out of PPC ads. We combine the statistical inputs given by web analytics with our judgment and expertise suggest an alternative options where needed. Successful PPC campaign management involves copy writing skills, Keyword analysis, and competition evaluation and conversion optimization to achieve the best results. Facebook has over 750 million active users and that 50% of those users log in at least every day. The average Facebook user has 130 friends and when that user becomes your “fan”, you are automatically advertised to that pool of 130 and the chain keeps going. Whether you want to increase brand awareness, reach a targeted audience, tap into a current client base to increase their spend, launch a new product, drive traffic to a website, generate new leads and/ or expand your market share, social media marketing is the most cost effective solution. AGT offers social media optimization services that include social account creation and maintenance, create social media campaigns, consistent and regular engagement, making RSS feeds available, embedding popular social network share buttons on your business blog or website, creating and maintaining your company blog, and promoting off-site link building through popular social bookmarking websites. Some of the most popular social media websites we work with are Facebook, Linked in, Twitter, YouTube, and Reddit.